A native of Northern California, George is a performing classical guitarist, lutenist, and music teacher living in New York. He performs as a soloist, in his trio Third Person Narrative, and in the newly formed, Duo Raccontare with soprano, Kathleen O’Rourke. He also performs as a continuo player on historical instruments with Ensemble Musica Humana in New York City and Sinfonia Spirituosa based in Sacramento, California. George currently teaches at Brooklyn Guitar School, New York City Guitar School in Midtown, and as an Onsite Suzuki Class instructor at BASIS Upper West Side. He accepts students of varying levels and stylistic interests; his approach to teaching is extremely adaptable, yet provides an effective structure for continual progress at each stage. 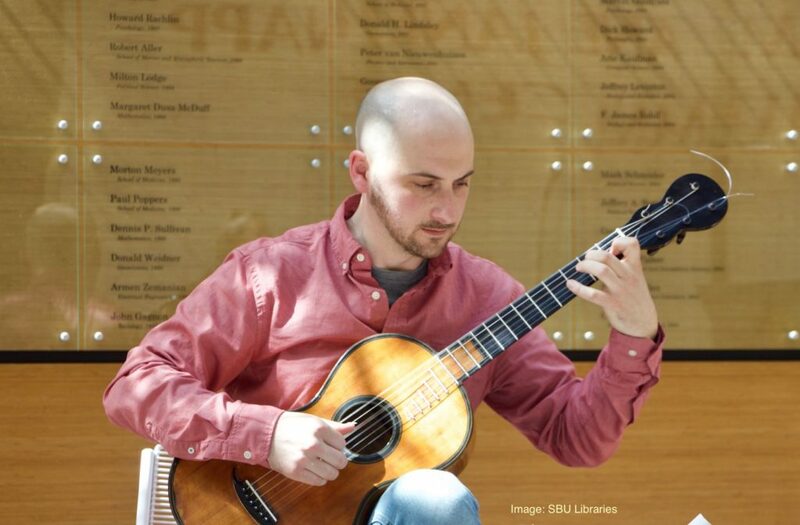 George holds a Doctor of Musical Arts degree from Stony Brook University, where he focused on rarely performed works from the 17th through 21st centuries on lute, 19th century guitar and modern guitar. He is currently writing a music theory book for young guitarists — stay tuned for more soon!